Find the presentation here: Managing-Product-Information-for-Complex-Systems-KSEE-2015-Soegaard. Abstract: A Model Based approach is used in the System Architectural Design of the Joint Strike Missile (JSM). A subset of the SysML modeling language is used to express the different aspects (Requirements, Functional, Logical and Physical) of the System Architecture of the JSM. A brief presentation of this approach will be presented followed by reflections on benefits and challenges using MBSE in JSM in particular and in complex product development in general. Biography: M.Sc in Computer Science from University of Oslo 1994. Started professional career at Norwegian Defense Research Establishment in 1985 working with development of Computer Architectures for Radar Satellite Data processing. 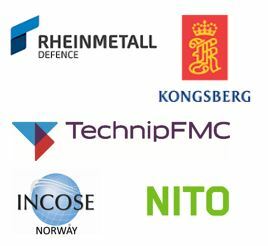 Engaged since 1995 at Kongsberg Defense Systems, Missile Division with development of the Naval Strike Missile (NSM) on SW development, SW architectures and system integration and testing and since 2010 worked with System Architectural Design of the Joint Strike Missile (JSM) and responsible for adopting MBSE in the JSM system development. Presentation Abstract: This talk is a recommendation, for systems engineering university level training, to be more conscious of the types of equipping students (and teachers!) with knowledge which is guaranteed to last their professional lifetime, and which will help them make smarter systems engineering decisions. In particular I identify 3 types of knowledge: principles, concept definitions and measures. ACCEPTANCE: 8. Knowledge is more useful when it is widely accepted in your culture. COST: 9. Knowledge is more useful when the cost of applying it is low. GENERATION: 10. Knowledge is more useful when is can be used to generate even more useful knowledge. I will supply the listener with a free digital copy of my Competitive Engineering book, which contains full and rich free sets of these basics. Biography: Tom Gilb is the author of 9 books. Current printings include “Software Inspection” (1993) and “Principles of Software Engineering Management” (1988, now in 20th printing). His latest book is “Competitive Engineering: A Handbook For Systems Engineering, Requirements Engineering, and Software Engineering Using Planguage.” He coined the term ‘software metrics’ with his book of that title in 1976. Much of his work is available on his website, www.Gilb.com. He is currently a consultant, teacher and author in partnership with his son Kai. He mainly serves multinational clients in improving their organizations and methods. He joined IBM in 1958, and started freelance consulting in 1960. He works with major multinationals such as Boeing, Bosch, Qualcomm, HP, IBM, Nokia, Ericsson, JP Morgan, Deutsche Bank, Credit Suisse, Microsoft, US DOD, UK MOD, Norway DoD, Intel, Citigroup, Schlumberger, Tektronix, GE, Thales, Rolls Royce, Sony, Hitachi, Philips Medical Systems, Siemens Medical, and many others – including smaller organizations such as. Confirmit (Survey systems), University of Trondheim IT Department, Startups like 2Leiki” (London, Web activity analysis tools). His latest interest is development of his Planning Language, ‘Planguage’, described in his CE book, and its application in top management planning. He is 2015 editing his new book at tinyurl.com/valueplanning. He has been member of INCOSE for 2 decades, and is an active member of the Norwegian chapter NORSEC. He happily lectures at INCOSE local chapters on his worldwide travels and at INCOSE conferences and symposia. He is a frequent guest lecturer at universities worldwide. He holds regular free London courses for the underemployed for British Computer Society. His has been named Honorary Fellow of the BCS. Biography: Amer Catic has a Master’s Degree in Mechanical Engineering and a PhD on the subject “Knowledge Management in Product Development” from Chalmers University of Technology. He is leading the knowledge management implementation program in Volvo Group Trucks division that is covering both development, implementation and training of a coherent set of high level knowledge management strategies through processes and roles all the way down to methods and tools. Presentation abstract: This KSEE is about knowledge capturing, storing and keeping it up to date. For all these, there has to be a transfer of knowledge. Transfer of knowledge means communication [Nonaka and Takeuchi, 1995]. There are different ways of storing the results (MBSE, Architecture Models, A3 Architecture Overviews, etc.) of which we will see examples in the KSEE. These all relate to the right hand side of the Nonaka and Takeuchi model. As the concept of common ground [Clark and Brennan, 1991], also used by [Schramm, 1954] explains, the formalisms used in the right hand side of the Nonaka and Takeuchi model have to be understandable by all involved to have successful communication. In this presentation, we will look how the different formalisms, methods and models fit within the communication framework of Schramm, and how they contribute to knowledge creation as seen by Nonaka and Takeuchi. Special attention will be paid to the A3 Architecture Overviews, how they evolved and ways to extend them even further. Biography: G. Maarten Bonnema is an associate professor in multidisciplinary systems design at the Department of Design, Production and Management of the Faculty of Engineering Technology at the University of Twente, and is part-time associate professor at the Norwegian Institute of Systems Engineering (NISE) in Kongsberg, Norway. He studied Electronic Engineering, and did a two year designer course on Technical Systems. He has worked as a Systems Engineer at ASML, contributing to the TwinScan system design. He received his PhD in 2008 from the University of Twente on FunKey Architecting. In 2006 and 2007 he was involved in the design of a wafer stepper at MAPPER lithography (part time). In the young multidisciplinary systems design group at the UT, the various tracks of research aim at supporting system designers, conceptual design and mechatronic design by improving multidisciplinary communication. Also systems thinking is researched. At NISE, he is mainly researching Electric Mobility from a Systems Engineering point of view. This involves modelling the system and supersystem, investigating the charging infrastructure, and looking at man-machine interaction. An overview of publications can be found at http://doc.utwente.nl/view/author/297548018.html. He has a broad teaching expertise spanning design in general, industrial design, and systems engineering. He is involved in various student projects as a tutor. Presentation abstract: A Need to Rethink the Solution? – CAD has evolved from simple drafting and analysis tools. Our present systems automate small and often isolated tasks within the overall engineering process. CAD systems have been extended by programmatic means to assist the engineer in localised application areas and in the optimisation of specialist part objects. To go further we must take a holistic view of design. To overcome the limitations set by the traditional design tools, we are now seeing an evolution in our design systems, one where the knowledge of the actual process is being represented. The specifications are being transformed into sets of attributed objects, which act together to satisfy the specification. One of the methods being used and researched to acquire, represent, store, reason and communicate the intent of the design process is Knowledge Based Engineering. The systems should give back the time to be an engineer. A true CAD system should be able to draw from a company’s natural knowledge base, the accumulated experience of the workforce and more importantly have the ability to utilise that knowledge in the pursuit of a solution(s). This talk will explore the modelling of complex products and the utilisation of our knowledge, showing examples and discussing potential future methods to model the complex systems being automated. Biography: Professor Craig Chapman CEng is Associate Head for Research and Director of the Knowledge Based Engineering Lab in the School of Engineering, Design and Manufacturing Systems, Birmingham City University. He has worked at an international level working in Europe, USA and the UK, holding positions in industry from Director, Principal Design Engineer, Design Group Leader and Senior Applications Consultant. The main focus of Craig’s career has been research, development and the application of design engineering automation and the development of Knowledge Based Engineering (KBE) solutions, enabling companies to rapidly respond to design engineering changes and explore multiple solutions with consideration to all life cycle phases. Craig is a visiting Lecturer at the University of Warwick and NTNU, he also delivers KBE courses into industry. KBE Research partners have included Rolls-Royce, Jaguar Land Rover, BAE Systems, Morgan Motor Company, Daewoo, Ascamm Technological Centre and TechnoSoft Inc. Current industry sponsored research is focusing on platform independent models to represent engineering products and processes and the enhancement of Knowledge Based Engineering development by the use of MBSE in a concurrent framework, C-DAM (Concurrent – Design Automation Methodology). Presentation title: Innovation and knowledge management, how to navigate through the land of blah, blah, blah? Biography: Siddi Wouters has over 18 years of experience in managing advanced technologies and innovations in several mutlinational companies in the Netherlands and Norway. The last seven years, Siddi worked as Chief Technology Officer at Kongsberg Norcontrol, a company within the Kongsberg Group. Since 2015 Siddi has been responsible for managing global strategic technologies within FMC Technologies. Siddi is certified in Strategy and Innovation at the Massechusetts Institute of Technology (MIT) and is a co-teacher in innovation as part of the Maritime of Managemnt program at Buskerud and Vestfold University College. Biography: Herman Solli is a Systems Engineer in Aker Solutions. He has 3 years of experience from the Subsea Oil & Gas domain. His project experience includes EPC projects for subsea gas compressiobn and deep-water subsea production system on the Norwegian Continental Shelf. He has education as an electronics engineer from Oslo University College and as a systems engineer from Buskerud and Vestfold University College with certificates in Marine Systems from Stevens Institute of Technology. Abstract: In order to realize knowledge assets and manage their life­cycles enterprises must discover the multi­dimensional nature of enterprise knowledge spaces and workspaces, and be able to execute knowledge models federated in active knowledge architecture. Graphic modelling of agile approaches, adaptive methods, extendable platforms and emergent solutions can then be done by teams of architects, designers, workers and users. Examples and values harvested will be presented. Biography: Frank is since 2007 R&D manager at Commitment AS. He started his career in 1969 programming the database of the Autokon ship design system. In the late 1980s he was one of the pioneers in Enterprise Architecture with the invention of the METIS modelling platform. In the early-1990s, working with leading designers in Volvo Cars and Boeing Aircraft, he conceived the first Active Knowledge Modelling concepts, methods and tools. In 1991 METIS received the Innovative Product of the Year Award from the Norwegian Research Foundation. He has published over 80 papers, and co-authored two books. Frankreported on the foundations of Active Knowledge Modelling (AKM) as early as 1993, and the book Active Knowledge Modelling of Enterprises was published in 2008. Frank has leading competence in Enterprise Modelling, Enterprise Architecture, Active Knowledge Architecture, Product Design, Holistic Design, Collaborative Networking, and Enterprise Knowledge Management. KSEE 2015 will be hosted at Buskerud and Vestfold University College on Thursday 4 June and Friday 5 June. More detailed information on the program will be posted when available. A flyer for the event can be found here: KSEE 2015 flyer.